You are throwing out used tea bags? 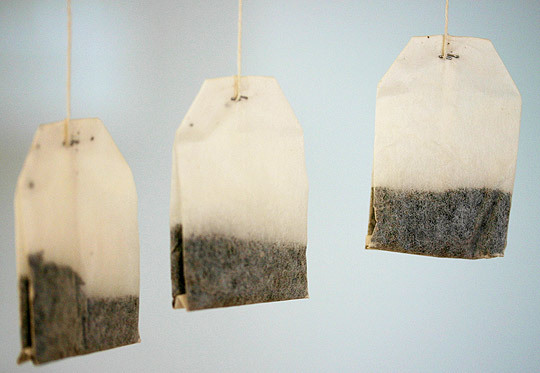 After reading this article you will never throw away any used tea bags again. We are all familiar with the healing properties of the tea, but not many people know the fact that used teabags can be used in various ways for different situations. Put a couple of teabags in cold water and let them soak for 2 minutes. Place them onto your eyelids. Let them stay there for couple of minutes. After you put them away the redness will be gone and your eyes will look fresher and younger. In order to prevent the meat from getting hard and resilient , marinate it with already used teabags. The tea’s aroma will make the meat’s taste richer and it will also make it softer. You can use these teabags even in your daily chores. Tea can clean dirty mirrors, floors and even linoleum. Store the previously used and dried teabags in the closet in order to make your clothes smell nicer. You can also put one of these bags in each of your shoes. It will get rid of the unpleasant smell in no time. In case you have some wound inside your mouth bite down previously used teabag. The tea’s compounds will relieve the pain and it will fasten the healing process. In case you have sunburns and/or acne, teabags will give you a relief. Place already used teabag on the affected area(s) [whether is for acne or sunburn(s)]. Teabags will bring you relief and will cool down the affected area. It will also help you get rid of acne anywhere on your body.